Welcome then, to the Thrillers With Attitude Literary Smorgasbord. My guest this week is author, Alison Napier. Hi Alison, thank you for agreeing to take part in the Literary Smorgasbord. Please, tell us a little bit about yourself. Well now – I am a cool, age-fifty-something Scot who lives in Perth at the moment where I work for a social enterprise called CheckIn that supports folk with disadvantages getting into work. I run and cook for a lunch-club every week with some of them and I also supervise social care students and I live with my very tolerant partner Susan. I am a social worker by trade and have so far left the profession three times. My email inbox usually has a mix of YouGov surveys and library overdue book reminders but at the end of May I was very excited to get an email telling me that I had been short-listed for the Dundee International Book Prize for an unpublished novel. Which means in the top ten out of five hundred entries. Five hundred! So very thrilled indeed and regardless of what happens next I feel very proud of this achievement and of my novel, Take Away People. School? Oh dear. Well at primary school in Fife I was in a wee gang and we pretended we were in an Enid Blyton novel and invented scary houses and sinister shady men. By secondary I was living in Tain where I was a bit of late developer and while my peers were drooling over boys and stuff I was stealing planks from a building site and constructing split-level tree-houses. I also played the oboe in the county schools orchestra which I loved because I had a crush on a gorgeous flautist and I blame her for the fact that in later life I became a radical lesbian feminist separatist anarchist peacewoman living at Greenham Common a few years later, and getting my badge of honour criminal record. What has been the evolution of Alison Napier the author? Like lots of folk I wrote highly embarrassing diaries as a child and adolescent. Early examples include ‘Had mince for tea and went to Brownies’ and progressed to ‘Had mince for tea, all is lost and what is life and who am I.’ Standard stuff. My dad used to send articles to the Scots Magazine and so I knew the system and later I sent a few of my own non-fiction to papers like the Scotsman and New Internationalist and was astonished when they were accepted. And I got paid for them! So I had quite a lot of non-fiction published. 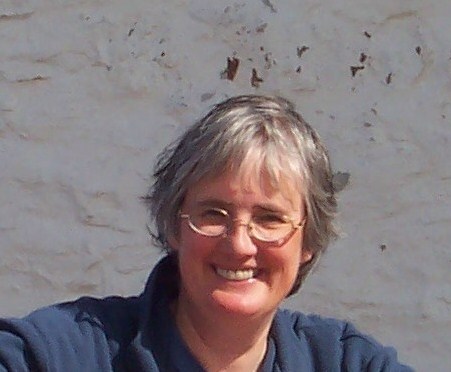 I also wrote other things that I did not believe fell into any category until I joined the Lairg Writing Group in 2008 run by the very talented Anne Morrison and I discovered that my writing was in fact fiction, albeit somewhat unconventional… This was huge for me – suddenly I had found the thing I did that defined me like nothing else did. I sent off some stories and they were immediately accepted and I just aimed higher and higher. I also got placed in the Neil Gunn competition twice and shortlisted for Fish. My most recent short story is published in Out There, an LGBT anthology (Freight 2014) edited by Zoe Strachan where I am between the same covers as Jackie Kay and Ali Smith. Blimey. Do you define yourself as a writer – if so, when did that first happen? I think I do but it comes and goes. A massive rejection makes me feel I must be a crap writer. The Dundee Book Prize shortlist makes me feel like a real writer. In between these two extremes I think I do think of myself as a writer but I would not introduce myself as that or claim it as my occupation. Writing is such an odd mix of the intensely personal and private, and the public. What is your style of writing? I am not sure my style has a name. I write a few words or a paragraph and from that a whole heap of new ideas get sparked, some of them based on word association or a play on words, some of them just the weird places that my mind goes. Descriptions of my short stories often contain words like ‘bleak’, ‘challenging, and even ‘gloomy’. This is not a description I recognise as often they seem quite upbeat to me and shot through with darkish humour. I can also honestly say that I never know what the end of a short story will be until it is finished. And it was the same with my novel Take Away People. I like mixing things up and just telling a story, or a tiny episode, in a way that keeps the reader jolted awake. It’s the BOO! school of literature. Why do you write this way? It is the only way I know. I once bought a black plastic box full of small lined index cards because I thought I should be more organised. But it didn’t work so I use them for shopping lists now. In 2010 I completed an MA in Creative Writing at Exeter University. My tutor was Booker shortlisted novelist, Philip Hensher, and he was incredibly supportive of and enthusiastic about my writing style so that was a huge boost. The MA made me wonder if my writing should be more technically structured but then I just thought heck no. I also studied writing for radio and screenplays which was a great help with dialogue. My early stories don’t have any dialogue at all! Ali Smith is glorious but my favourite short story writer is Lorrie Moore. I feel that both these writers gave me permission to be myself. Lorrie Moore has a short story where her character is laughing hysterically, and Moore covers an entire page with ha ha ha ha ha ha ha… all the way down to the bottom of the page. Fabulous. Learn the rules and then break them all. Well it is still mainly in my head right now apart from what I call random jottings but it is a novel. Unless it ‘fails to thrive’ as we say in social work in which case it will be a short story. And I am also working on my regular book review for Northwords Now, something I also love doing. Lorraine, I wish I knew! I will start with a few spices and hope they end up as a glorious vegetable biryani worthy of the Mughal dynasty. For Take Away People I was lucky to have some time not in paid work when I lived in a caravan in Lairg and just wrote. I went on day trips to a clearance village in Strathnaver for basic things like ‘can you see the river from the hill’ and ‘is there really somewhere to hide a moped’, details like that. I check facts on Google but I am not one for copious and meticulous research otherwise I’d end up with a PhD. Far easier to make it up. It is fiction after all. Oh and I did try a lot of fish suppers for the novel so that counts as research I guess. See above – Ha ha ha ha ha ha ha ha ha ha ha. How long did it take you to write Take Away People? It took me from 2008 to 2012, but then it wasn’t a forty-hour week. Months passed without touching it. The redrafting took ages and the synopsis was probably the hardest part as I had to decide what it was really about. Short stories take anything from a couple of hours to six months. Best writing moment so far? I think it was when my fiction was first accepted by a very credible publisher and editor [Sharon Blackie of Two Ravens Press]. Suddenly the stories leapt from my desk drawer into the public domain and people liked them. And of course the shortlisting for the Dundee Prize is a huge boost for me personally. In 2012 I had a 30 minute session at the Ullapool Book Festival where I read three pieces to a very full room [I was there – LG]. That was great and I wasn’t nervous as I was totally in my comfort zone. I seem to write best in cafes, and JD Wetherspoons are always a safe bet being cheap and open all day and never too busy. I do struggle to write when there are other people around in the house so a wee caravan out in the woods would be ideal. An equal balance of discipline and disarray. Do you have any particular writing habits? I write best at a desk, on an A4 lined pad, in pencil, on one side only, numbering the pages as I go along and tearing them out and making them into a pile. With a pencil sharpener, a rubber, a bottle of water or mug of tea, silence, a view, and no access to the world wide web of distraction. An intense experience, good or bad, often triggers a need to write a short story. But often I have no idea where they come from and they just evolve as I write. I do find it easier to write when I am unhappy, perhaps because raw feelings are much closer to the surface. Yes. Read as much as you can. Read lots of different writers, even the ones you have already decided you don’t like. Read writers from other cultures and times, read the styles and genres you claim to despise (that would be science fiction and anything Russian in my case), read quality fiction wherever you find it, read and read and read. For me that was the best part of the Creative Writing MA – we were give a wildly eclectic reading list and it really opened my eyes to how much amazing writing there is and how narrow my own reading had been. Four Novellas by Joyce Carol Oates. Who would play Alison Napier in a film adaptation of your life? Sue Perkins if she was free. Otherwise, kd laing. Of course, I would allow Miss Piggy to audition as she has the right attitude I feel. A few quick questions to finish with. Favourite book? The Sea, The Sea by Iris Murdoch. Mad people, lots of sea, lots of pages and lots of food. Perfect. Endless tea. Shiraz for £4.99. And very good coffee. In that order. A first class fish supper (with home-made garlicky coleslaw and curry sauce) is hard to beat. Otherwise, anything spicy. I am clueless about films as they frequently seem like good books with the best bits taken out. Apart from Paddington! Why so? Because it is a classic film that spans continents and wrestles with the contemporary issues of immigration, cultural relativity and environmental colonialism. Brideshead Revisited from eons ago. Diners, Drive-in and Dives (Food Network). Or anything with Sue Perkins in it. Clare in the Community (R4), Saturday Review (R4) and Get It On with Brian Burnett (weekdays 6.30pm Radio Scotland) when I am cooking the tea. Bach and Corelli. All recorder playing. Handel’s Messiah and Bruce Springsteen. And anything from the early 80s because it reminds me of coming out at Uni in Aberdeen, of the East Neuk pub, Hillhead, Daisy’s, and the Monday group at Bridge of Don. Thanks for taking part in the Literary Smorgasbord, Alison. It’s been a gas. A pleasure and an honour. I thoroughly enjoyed myself! You can find out more about Alison on her website, and you can try following her on Twitter, but she rarely uses it as she doesn’t know how.